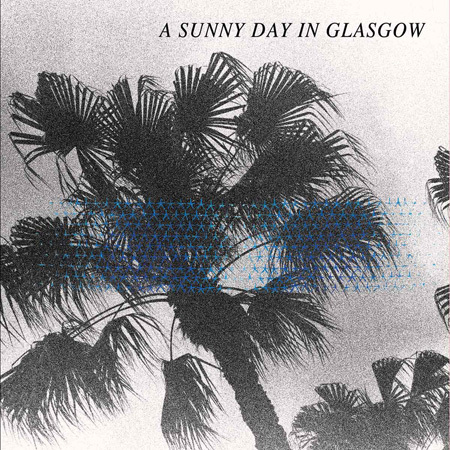 This is not the first time I had ever heard the name of the band, A Sunny Day in Glasgow. It is however the first time, I had ever cleared a space in my busy schedule to take time and listen to A Sunny Day in Glasgow. Wow!!! I have to say, I’ve missed out on this group in the past. While I wouldn’t count this group as summer music, I may have just nominated them to fill that spot for mine. I love their sound, it is unconventional, but still normal and common all at once. It is dark, but also quite colorful in texture and delivery. The music is hit with large splashes of sound (mainly guitar and synth), skinny stretches of tight wound vocals, and dusted with the sound of metallic sprinkles. They blew me away.